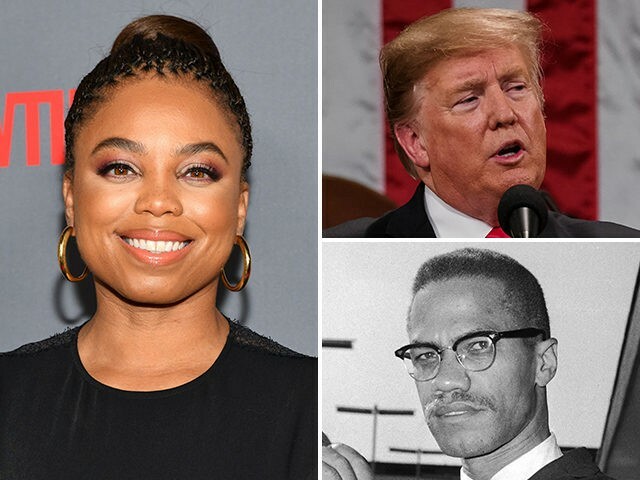 The Atlantic’s Jemele Hill referenced a public assassination during President Trump’s State of the Union address Tuesday night. “[P]lease let @AOC yell out ‘whose mans is this,'” actor Desus Nice posted on Twitter. The”GETCHO HAND OUT MY POCKET” quote refers to the last words Malcolm X probably heard before he was gunned down. Libbies, .. don't you want to hear how 'some of your own talk and think'? Jemele Hill likes to go to the extreme, just to see what she can get away with. Perhaps, .. the President's Secret Service should pay the Affirmative Action and Semi-Illiterate a special visit. A lot of middle class Americans are going to be yelling "Get your hand out of my pocket!" when they realize Trump and the GOP gave them a tax increase, not a tax cut.